Social media. It’s changed our world, and it’s certainly revolutionized how we do business. For business owners and brands today, social media is a tremendous resource that we have at our fingertips, allowing us to reach out to our audience seamlessly –all with a few clicks. But while there’s no denying its impact, for many businesses today, it can be challenging to know where to begin. 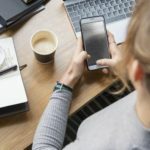 With social media marketing strategies and ad best practices constantly changing, how can you keep up with it all and ensure that your time, effort, and ad dollars are being put to the right use? Which platforms should you start out with –and which ones aren’t worth your time? If you’ve been on the fence with social media for a while, or have a Facebook business page that you struggle to keep updated –then this article’s for you. Read on as we’ll take a look at the current state of social media, and highlight how you can get started with each of the main platforms. We’ll also look at ad cost, and best practices for each platform –making it easy for you to take advantage of this tremendous resource today. 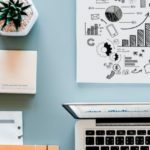 While there are hundreds of different digital marketing strategies you can choose to employ; it can be difficult to know what course of action to take. However, if you are looking at one strategy that can bring in consistent sales from day one, you need to take a closer look at social media advertising. Yes, organic marketing does have a time and a place, but for most social platforms today, the reality is that you have to pay to play. Their algorithms are designed to give priority to paying customers –and if you’re not spending anything on ads, you just won’t get noticed. The concept of social media advertising makes sense. You are targeting specific users on social media platforms and leveraging the network’s data to serve highly relevant advertisements based on interests and interactions. If you can align your target market with the user demographics of a given social platform, you will be able to reap conversions and sales with a reduced cost per acquisition. The main social media platforms today understand the value of highly targeted advertising and are making it easy for businesses to reach their intended audience –even at an extremely granular level. Before we provide a detailed analysis of social media platforms, let’s touch why this form of advertising is ideal for generating a quick ROI. The lead time to generate ROI with other marketing channels is rather significant. Take content marketing for example. Content marketing is not a sprint –it’s a marathon. Its benefits are long-term and can produce an ROI (returning traffic) well into the future. However, to reach that point, you need to be prepared to wait months, if not longer, for traffic from backlinks and SEO to really start rolling in. Consistency is another factor to consider. Although other channels can yield quick results, they cannot be achieved on a day-to-day basis. For example, influencer marketing can provide you with an increase in sales reasonably rapidly; however, you’re generally paying on a per-post basis and often see diminishing returns. Plus with influencer marketing, it’s easy to get it wrong –you’ve got to make sure you know what you’re doing. Other channels take time to fine-tune for optimal results. Take AdWords for example. It is an excellent tool for reaching customers and generating consistent results. However, it may take a while to discover the appropriate keywords and ad copy to yield results. The beauty of social media advertising is that, in addition to its immediate ROI, it has a low entry barrier. You can have consistent sales coming in as soon as your website is up and running. For the owners of e-commerce sites, the ability to leverage these social networks to recoup your investment and contribute to cash flow is an essential part of growing your business –gaining market share, and differentiating yourself from the completion. 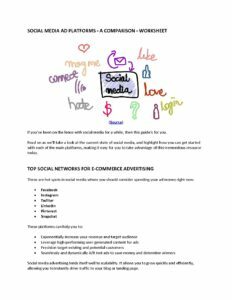 In this guide, you’ll gain a broad overview of online advertising through social networks, helping you to navigate this complicated world successfully. Things are always changing in the world of social media, and it can seem like a new social media network is popping up every week. It can be difficult to know which ones to pay attention to, and which ones to ignore. The truth is, though, the The bulk of these will never make it past a year or two. Don’t get deterred or overwhelmed trying to keep up with the latest greatest. You don’t have to know everything about every platform. Instead, consider starting with one or two of the most popular platforms, and branching out from there. 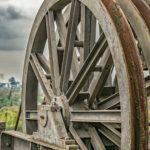 Once you have figured out your target audience and have a profitable ad program, then you can allocate some of your resources to smaller, more niche networks. I cannot stress this enough; marketing is about creating campaigns with predictable, repeatable results. The best way to do this is to see what others are doing to succeed. Therefore the best place to start is with these top six social networks. These channels will provide you with proven ad strategies to generate consistent ROI. Best of all, much of the work has already been done for you. The trick is finding someone in your niche that is doing a good job, and then improving upon it! In our opinion, these are hot spots in social media where you should be spending your ad money right now. Social media advertising lends itself well to scalability. It allows you to grow quickly and efficiently, allowing you to instantly drive traffic to your blog or landing page. Who is your target audience? If you haven’t yet identified it, you’ll want to before you embark on a social media campaign. From there you can also create buyer personas and customer avatars –allowing you to create a truly targeted ad campaign. Where does the most significant concentration of your target audience gather? Consider usage, habits, groups, etc. Where are your target customers on the web? What media do they prefer and what ads resonate with them the most (testing required). Achieving success requires that you put in the work in terms of understanding who your customer is. All the targeting in the world is worthless if you’re going after the wrong people. Do your research! Is my offer compelling enough? Am I leveraging the appropriate medium? Is it reaching the people I want to reach? In the place where I can reach them? Not every platform has users that engage with ads, take Reddit for example. It is currently one of the top-ten most-visited sites on the web. However, few advertisers have been successful in converting on the platform. Let’s dig a little deeper into the foray of these social media platforms. It’s time to examine what each of these six platforms can offer to your campaign. So you can ultimately decide the best place to invest your time and money. Think what you will of ‘The Facebook,’ with more than 2 billion monthly users, it’s the 1,000-pound gorilla in the room. The fact that this platform hosts over 1/4 of the world’s population provides you, the advertiser, an unparalleled opportunity to reach practically anyone and everyone. In the e-commerce business, Facebook is going to crush it at lead generation for you. If you’re looking to build out your email list, you can expect to pay at or below $1 per lead. The most effective means for lead generation on Facebook is to drive traffic directly to a high-converting landing page, with a compelling lead magnet –something of value that you offer in exchange for an email address. Free samples and introductory offersOnce you capture these leads, you can then drop them in an appropriate sales funnel or utilize a targeted autoresponder. After they interact with your brand, be sure to immediately hit them with a poignant and relevant message about your brand or products.The targeting on Facebook is unlike any other platform. And the interface is easy to use, too, making it a perfect place to get started. You can typically zero in on audiences based on location (within 5 miles), hobbies, interests, browsing activity, and many other incredibly valuable criteria.Facebook Advertising PricingSeveral factors can determine the overall costs of your ads. These include the audience you’re targeting, the budget you’ve set, and the competitiveness of your particular category. Generally, the more you target, the more you spend, the better your results are; better targeting enables Facebook’s algorithm to increase your ad performance over time. The average cost per click (CPC) of a Facebook ad is around .28 cents, and the CPM (cost per 1,000 impressions) was $7.18. This is according to a 2016 study by AdEspresso. Leveraging retargetingNeil Patel provides an excellent guide for steps 1 and 2. Need a how-to guide for retargeting, follow this guide from Conversion Sciences. Facebook Ads Pro TipsTailor your ads specific to your audience and their particular interest. Avoid using the same ads to everyone. Prospecting and lead generation ads should be completely different from retargeting ads.Think of your lead gen ads as a branding tool more than a closing tool. Educate people about your product or service, then utilize your retargeting ads to close the deal with users already interested in your brand. Get creative with your copy by using emojis in your ad copy. Albeit sparingly and with great tact (unless your audience demands otherwise). This has become a prevalent trend as of late, however as with all strategies, A/B test to be sure. Test, test, and retest. Understand that ad fatigue is something you will always be facing on Facebook. I suggest testing and rotating new ads every two weeks. Learn to love lookalike audiences. They are an excellent tool for prospecting, and great use of your list created by lead magnets. Avoid adding additional targeting on lookalikes; you’ll run the risk of shrinking your audience. 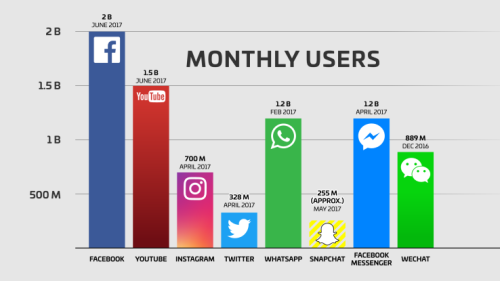 Facebook’s Instagram has over 500 million monthly active users. In addition to its rapidly growing base, it has an extremely high engagement rate, over 50% higher than Facebook and over 2000% higher than Twitter. With Instagram we’re talking visual media galore. If you have a visually appealing product, or can creatively augment media to convey your message effectively, this platform is going to perform very well for you. The demographics for Instagram tend to skew heavily to the 18-29 range which is a broad enough category for many companies. Yes, it’s a good idea to using Instagram organically. However, the real value of this ad platform lies in its ability to link directly to a landing page. You are creating seamless integration for direct engagement with your products. Advertising on Instagram is on-par with that of Facebook. You should expect to spend about $5 per thousand impressions (CPM). Although the pricing is similar, engagement on posts and ads are much higher, thus reducing your overall acquisition costs. Since Facebook owns Instagram, the ad platforms are very similar. Check out HubSpot’s step-by-step guide to launching a campaign to see what you need to know to get started. The first thing you are going to want to do is to build a sensible and well-thought-out set of customer personas. From there develop your custom audiences. You can develop this via pixel tracking, an email list, a followers list, or some other method. Once you have set up successful custom audiences, lookalike audiences are the next logical step. Facebook/Instagram’s algorithm is fantastic at pinpointing lucrative audiences that will engage well with your ads. Hashtags are important here. More than any other platform, they can go a long way in expanding both the organic and paid reach of your posts. Use a tool like RiteTag to key in on sticky that will connect with niche audiences. Avoid stock images on Instagram at all costs! Try to use custom images of real people whenever possible. Play on the visual nature of Instagram, make compelling offers, and use the impulse buy to your benefit. Finally, don’t rule out Instagram influencers. 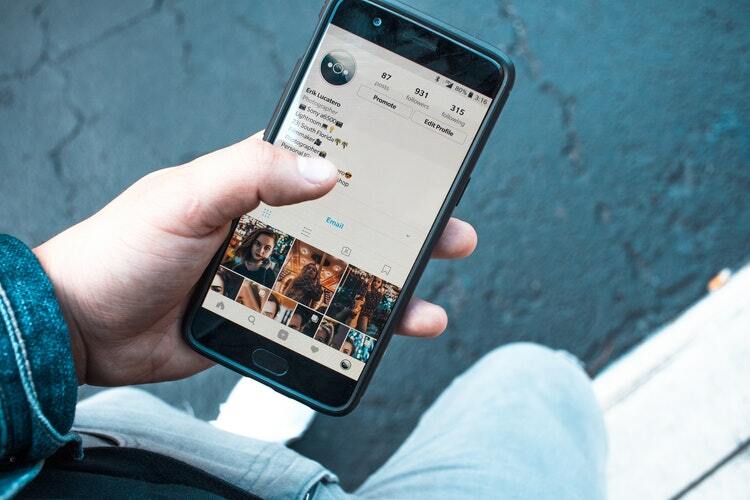 These Instagram superstars can offer valuable publicity for your product offering. According to Social PR Chat, marketers who implemented an influencer marketing campaign saw an average return of $6.85 in media value for every $1 spent on paid media. 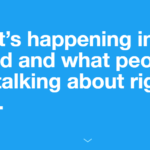 It’s not exactly a secret that Twitter has changed the way the world communicates and receives breaking news, giving us a way to connect with both niche and mainstream influencers. Their user base is respectful in its own right. Twitter sees 328 million monthly users, who are highly engaged and responsive to the right type of messaging. Twitter, however, is a different sort of beast altogether. Yes, it is a valuable tool for organic engagement. One of the best, in fact; brands don’t have to pay to reach their followers. If you Tweet it, your audience will see your message 100% of the time, unlike Facebook. There is a bit more strategy involved with using Twitter as a useful tool in your digital marketing arsenal. Take a look at this helpful guide from WordStream to learn more about winning strategies for direct response marketing; a great strategy for Twitter. Overall Twitter is considered an underutilized advertising platform by most marketers. Their pricing reflects such, with ad impressions running between $9 and $11 CPM, and clicks about $0.25-.30 each. An optimized campaign can bring a decent level of engagement at a value-based price. I recommend taking advantage of the lower costs of the Twitter platform, using it for lead gen and branding can be a massive help to any campaign. Promoted TrendsIf you need help setting up your Twitter campaigns, here is an excellent guide by Kristi Hines. Twitter Advertising Pro TipsYou must you compelling and dynamic rich media on Twitter. Your image should be relevant to your ad copy, and provide context to your audience, in addition to fitting your brand and captivating your customers.Understand that Twitter requires much more tact and focus. Your lead magnets should be very specific and targeted. Try using a CTA such as: “Shop Now” to drive traffic back to your e-commerce site. Also, make sure you avoid any CTA that could be perceived as click bait or misleading. Take advantage of the fact that Twitter excels at the direct connection between brands and consumers. Tailor your ad copy to reflect this intimate and direct connection. Be succinct; be brief. Just because Twitter now allows 240 characters in a post, doesn’t mean you have to use them. Less is more when it comes to this platform. Get our Social Media Ad Platforms: A Comparison - Worksheet delivered right to your inbox. LinkedIn is a social platform that caters primarily to the B2B market. So if you’re targeting professionals or businesses, then you’ll want to seriously consider using this platform.It hosts an estimated 227 million monthly active users, with a 50/50 split between male and female users, and 61% of users in the 30-64 age range bracket. The secret sauce of LinkedIn lies in its user base, which has the highest average disposable income of all the platforms –3/4 of users earn $50k plus annually. You’re also going to find that it can produce high-quality leads for specific industries. The most significant difference in LinkedIn advertising that it is going to center around B2B ads and social media marketing campaigns. That means you’re going to be putting additional effort in relationship-building and branding. The average cost per click (CPC) ranges from $2-$7 per click on LinkedIn, although prices can reach up to $10 CPC based on competition and targeting. Standard text adsFor a step-by-step guide to getting your LinkedIn up and running, check out this article.LinkedIn Ads Pro TipsKeep a close eye on performance; be extremely diligent here. Discard anything performing under a 0.10% CTR, and if you’re hitting 1%, or above throw more money at it and scale! LinkedIn’s ad targeting capabilities are nowhere near Facebook’s. However, they are serving up an audience of significant influencers. Target by a company, company size, titles, location, seniority, age, education, and skills. Keep your copy short and tight. Unlike Facebook and other counterparts where you can go into more detail, with LinkedIn you’ll want to keep it under 100 characters with a catchy CTA. This is a place where people go to network and solve professional challenges. How can you help them get ahead and grow their businesses? Try to put yourself in your target audience’s shoes. As mentioned before, LinkedIn is all networking and connections. Trust and rapport are built within their group’s feature. Leverage them with both paid and organic content. Pinterest is similar to Instagram in the context that it is highly visual. It differs, however, by the fact that it boasts an 81% female user base. This means that it may not be for everyone; however, if your demographic skews female, then this is a platform you must be on. A powerful platform with 175 million monthly users, also makes it a place worth spending ad money. Pinterest is one social media platform that seems to be tailor-made for e-commerce sales; it is a social media platform that has very high levels of engagement. Many users head there specifically to get ideas, be inspired, and purchase innovative products. Promoted pins intentionally blend into Pinterest boards and are a non-intrusive form of advertising. Targeted demo on this platform is primarily millennial women from the U.S. If your product category exists in this demographic, engagement should be very high for you. The highly targeted search engine on Pinterest is a boon to e-commerce retailers and can be a huge help in promoting your brand and products. When used strategically, and placing well-researched keywords within your promoted pins, you will, in essence, be creating relevant, non-intrusive ad-content. There is not a ton of data that exists on Pinterest ad data. Previously ads were pricey due to the targeting capabilities, and their captive demo. You were looking at a CPM (Cost per 1,000 impressions) of around $30-40. More recent reports are showing much more affordable rates, with one user reporting CPMs of $5.30 for an engagement campaign, and CPC of $1.52 for a website click campaign making it competitive with other platforms discussed. Pinterest advertising is relatively straightforward and simple. You’re setting up promoted pins. Social Media Examiner has a step-by-step guide to setting up your own promoted pins. Creativity is a huge deal here. Look at other pins that people have engaged with and re-pinned. How can you improve and replicate those? You need to stand out, either through eye-catching graphics or witty, endearing copy. What is trending? What is the competition posting? What products are people seeking out and talking about? It’s as much about creating engaging content as it is with engaging with your followers. Re-pin content that matches your brand aesthetic. Look to expand your audience and tap into emerging markets. Keywords and hashtags are essential on Pinterest. It is a search engine that relies upon long, detailed descriptions. Snapchat is the new kid on the block in terms of social media and social media advertising. It has a rapidly growing user base of 301 million monthly active users. It’s also been a notoriously difficult platform to monetize for advertisers. 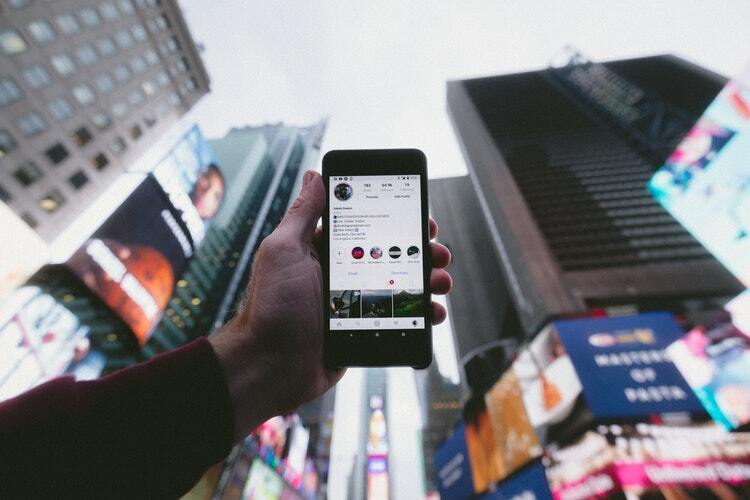 Although Snapchat is facing stiff competition for Instagram video, it is nonetheless a viable advertising platform with a highly active user base. The one thing that has advertisers running towards Snapchat, checkbook in hand is their audience; the much-coveted 18-34-year-olds in the United States. That’s pure gold if you can get this audience to engage with your brand! That’s where Snapchat shines. However, things get tricky when it comes to pricing. Snapchat has multiple advertising options, and none of them are cheap. Wallaroo Media does a fantastic job of breaking them down. Here’s a look at some of the main options now. Snap AdsA Snap Ad is a mobile, interactive video that appears within the user’s feed. They have a 5X higher swipe-up rate than the average CTR for comparable social platforms.What they cost: $1,000 – $3,000 per month. Sponsored LensesSponsored Lenses are at the heart of what made Snapchat so hot. They are live filters that overlay with individual and groups. People love them, and they are fun, engaging and white hot at the moment! These lenses allow brands to develop and deliver custom lenses for users to play with.What they cost: A sponsored lens doesn’t come cheap and are really only an option for companies with extensive advertising budgets, running an estimated $450,000 to $700,000 per day. Snapchat DiscoverWith Snapchat Discover, a brand’s story is placed at the very top of user app feeds.It’s not cheap though, coming in at an estimated $50,000 per day. To learn more about implementing a Snapchat campaign, be sure to check out this comprehensive guide from AdEspresso. So there you have it! Tips for getting started with each of the main six social networks in 2019. If you’re feeling overwhelmed at the prospect and not sure where to begin –don’t worry! The truth is you don’t need to be an expert in all of the platforms in order to benefit. Nor do you have to sink tens of thousands of dollars into a campaign in order to see results. In fact, there’s a good chance that you’ll soon find one or two platforms that you prefer –ones where your audience tends to hang out, and which you find produce the best returns. Your best option is to choose one –based on where you feel that your target audience is, and then get started posting relevant content, and keeping your account up-to-date. Facebook is a great place to start as its user base is so extensive there’s a good chance your audience is on there. It also offers easy-to-use ad campaigns –that can fit any budget. Then, set an ad budget and start running a few ads. You’ll want to determine what your ad goals are, i.e., increased sales, more traffic, conversions, and then create your ad copy accordingly. Be sure to split test your ads, trying different ad formats, headlines, ad copy, and CTAs –and then spend money promoting the ones that are clear winners. With diligence and the right approach you’ll soon start to see the results of your campaign; and notice a clear uptick in traffic, conversions, or engagement. All the best in your ad campaigns! Have you tried social media ads before? Which ones did you have the most success with?